When you begin to mod your vehicles suspension it makes it harder and harder to reach perfect alignment. 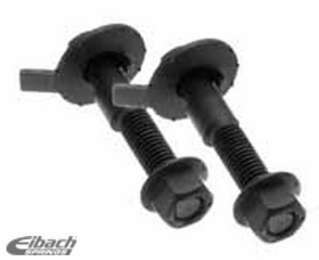 Eibach came out with their Eibach Pro-Alignment Camber Bolt Kit to allow you to go beyond factory adjustments limits. These bolts are a direct replacement of the stock bolts and can be replaced at home.